Adding Securex to Doccle. Any easier would be difficult! Adding Securex to Doccle. Any easier would be difficult! Receive and store your payslips and other personal HR-documents from Securex on Doccle. 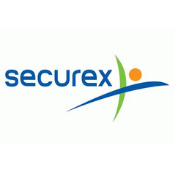 How to add Securex ? Your Doccle-code is situated on your payslip. Is there no Doccle code on your pay slip? Then your employer has not activated Doccle yet. Contact your employer or HR department so they can activate Doccle for free via Securex. Today Securex does not yet provide an archive of old documents on Doccle. 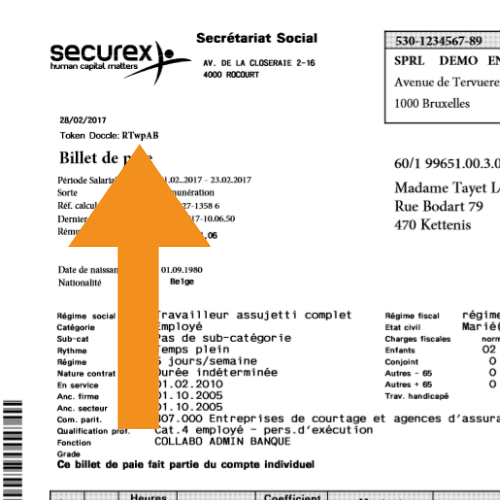 After you have added Securex you will receive future documents on Doccle, but not automatically the previous ones. If you wish to view older wage documents, it is best to inquire at your employer’s personnel/HR department. Is there no Doccle code on your pay slip? That means your employer has not activated Doccle yet. Every employer can activate Doccle for free via Securex. You can contact your employer or HR department and ask them to activate Doccle via Securex. That way, the Doccle codes will appear on your pay slip. Activating Doccle as an employer? Doccle is a free service. Every employer affiliated with Securex can activate Doccle free of charge. It is sufficient to inform the contact person within Securex.